Serving 34 million passengers annually, Gatwick Airport is the second busiest airport in the United Kingdom. Bechtel's challenge was to modernize the airport without disrupting ongoing operations. To do that, Bechtel used a Building Information Modeling (BIM) process to deliver more than 250 improvement projects more efficiently in time, cost, and resources. BIM enabled Bechtel to coordinate 250 airport improvement projects. Coordinated, consistent project information helped the team deliver world-class facilities to their client on time and on budget. Team members engaged with stakeholders early in the process with a model that showed what improvements would look like before they were completed. Working from an intelligent model, team engineers could quickly align their work process with BIM requirements and deliverables. The result was less rework during design and less rework in the field. 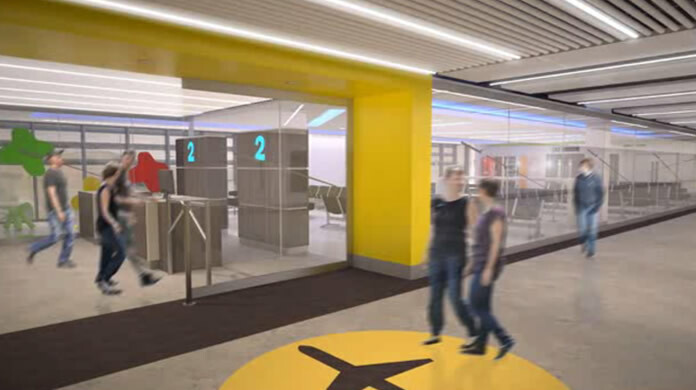 With BIM, the team could evaluate multiple options to come up with a design that streamlined construction processes and minimized disruption to airport operations.